The object-oriented, dynamic and reflected programming language has cherished two decades of success and still appears to a subject of adoration for programmers, worldwide. Ruby ranks 13th in popularity on TIOBE Programming Community Index. Job Trends conclude Ruby language programmers have a bright future ahead. 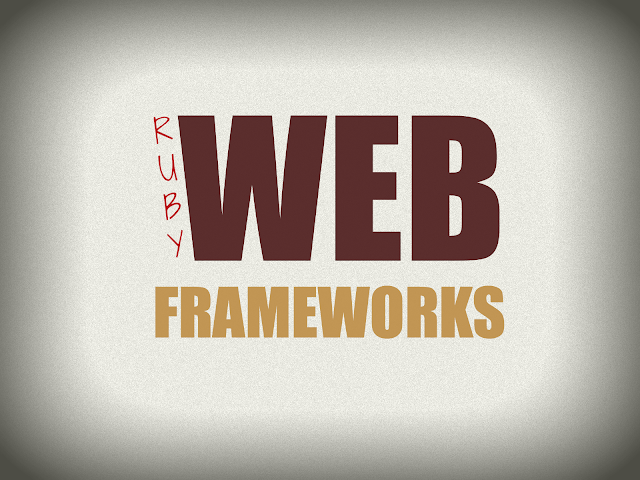 The Ruby on Rails Framework pinned Ruby onto mainstream programming language board in 2004. Since the integration of Ruby on Rails Framework, a smoother and creative path has been laid for programmers to follow, in order to attain a promising software programming career. You may also like to read good ruby programming books. Ruby on Rails is often referred to as ‘Rails’. It is an optimized and celebrated web application framework (open source) encoded in Ruby. It focuses on vital software engineering paradigms and engineering patterns. DRY (Don’t Repeat Yourself) and CoC (Convention over Configuration) are significantly accentuated in Ruby on Rails, which relies on MVC (Model View Controller) for systematizing application programming. The recently improvised Padrino has garnered an impressive feedback from the software engineering industry. It is modeled on Sinatra and encoded in Ruby. Padrino is visibly aimed at enhancing the functionality of Sinatra via optimized utilization of the Ruby language for developing complicated web applications. Sinatra focuses away from the archetypal MVC (Model View Controller) systemization, which distinguishes it from other open source Ruby Frameworks. This DSL (Domain Specific Language) triggers development of small but unique web applications quickly and effortlessly, which establishes it as an optimum preference for quirky programmers. NYNY brands itself as an extremely petite but powerful Ruby-based web framework, a tag that it fully justifies with its compact size and productivity. All NYNY apps are facilitated to be Rack middleware, allowing it be integrated with any Rack-modeled applications like Ruby on Rails or Sinatra. Nancy appears to be an efficient micro web framework modeled on Cuba and Sinatra. It is hosted via Github repository and notable for compatibility and versatility. It embeds a variety of integrated specs along with facilitating mounting of Rack-based applications. Nancy epitomizes steadfastness and simplicity. Cuba is a micro-framework internet application modeled on Rum. It tends to be an intrinsic mapper for Rack apps. Cuba’s simplistic interface enables both naïve and advanced programmers to build versatile applications with minimal effort. It justifies its existence as a tiny Ruby framework app for small and simple apps. Grape is strategically depicted as a platform to organize simplistic APIs (Application Program Interface) without requiring short-term or naïve programmers to learn the more complicated Ruby on Rails. Grape establishes its significance as a micro-framework over its capacity to organize and tackle simple APIs with minimal effort by the programmer. Camping attempts to justify its presence as a petite but advanced micro web framework with a promise to rid basic users of the effort of mastering Ruby on Rails or, limiting their creativity to Sinatra. It aims at renouncing the art of programming, which centers on mischief alongside creativity. Crepe is another tiny Ruby framework enabling programmers to design simple APIs without complicated efforts. Its minimalistic weight and simplistic interface makes it preferable for amateur programmers. Receptive interface, lightweight appearance and uncomplicated instructions highlight Crepe’s functionality. Hobbit, a micro web framework encoded with Ruby and modeled on Sinatra, claims to require no configuration, thus facilitating amateur programmers with random usage and syntactical optimization of applications as per their preferences. It is intrinsically compatible with standard and simply Ruby modules. Kenji tends to be a clean and responsive Ruby framework, which is compact in size and optimized with beneficial features. Kenji features an organized interface for programmers to interact with their applications and test it for further renovation automatically. It defines the process of building unique APIs with simplicity and integrity. Brooklyn is a small but effectual web tool aiding programmers with compact organization and placement of their ideas on application development. It’s uncomplicated execution methodology and clean organizing capacity justifies its presence as a simple web tool capable of mastering complex tasks with minimal user efforts. Merbivore is s steadfast framework that emphasizes on speediness and simplicity. It targets programmers exhausted with having to use complicated codes for simple APIs. Merbivore’s engaging and capacitive interface inspires programmers with uncomplicated advancement of their web applications. Ramaze is a simplistic Ruby-based micro web framework that inspires basic and advanced programmers to make the most out of their ideas practically. This framework incorporates beneficial codes, which need no complicated procedure of implementation but rather, provides a great platform for user optimization. Ruby is a very adaptable programming language that has inspired numerous software programmers and application developers to render a concrete shape to their ideas and utilize Ruby-based platforms for optimum presentation of their creativity.